We’re closing in on the number of shopping days left before Christmas, and I don’t want to make any sweeping gender generalizations here (men! 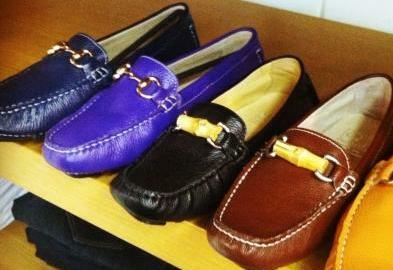 ), but if you’re still looking for a stylish gift for a lady friend, check out these snazzy driving loafers. 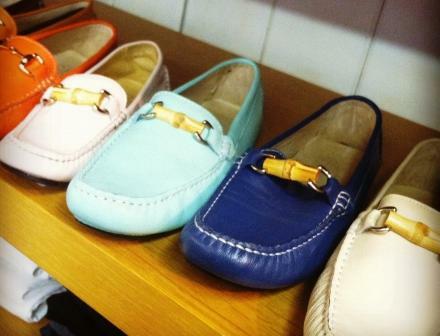 Designed by Newport’s own Stacie Hall, owner of the Pink Pineapple and mastermind behind her own clothing and accessory lines, these women’s loafers are as pretty as they are practical. Similar styles are made by Gucci (avg. 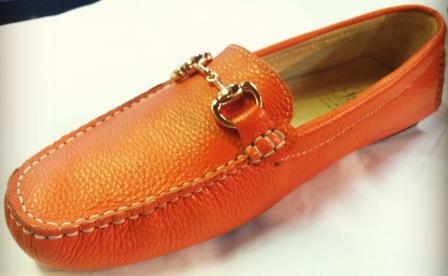 $575) and Tod’s (avg. $495), but unless you’re looking to spend hundreds and hundreds of smackaroos, these are a sweet deal at just $118. Hardware choices include a classic gold or bamboo horsebit across the top and available colors include: pale orange, orange, navy, black, brown, beige, purple, light pink, cobalt blue and light blue. (Reliable sources say a mens version may be in the works!) Available at Island Outfitters on Newport’s lower Thames Street and online here. Entry filed under: Uncategorized. Tags: about the driving loafer, chef tattoos, Classic driving loafer, driving loafer Newport ri, driving loafer RI, driving loafer sale, Gucci driving loafer, Gucci women’s driving loafer, Gucci women’s driving loafer sale, Island Outfitters RI, ISLAND OUTFITTERS sale, Lower Thames Street Newport RI, Newport RI shoe stores, newport ri shopping, Newport ri shops, Pink PIneapple, Pink Pineapple Newport ri, Pink Pineapple Portsmouth ri, PINK PINEAPPLE sale, Portsmouth RI shoe shops, preppy shoes, Stacie Hall, Tod’s driving loafer.